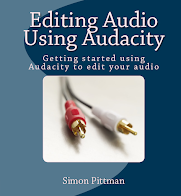 How do I add new audio files to the library? To add new audio files, simply add the files to the appropriate folder and they will then be immediately available for use within Library Player. Can I safely rename, remove or delete audio files? Yes - changes to files will immediately be reflected in Library Player. However, you should also consider that any saved playlists/fast jingles that include these audio files will no longer be able to find them. If you rename, remove or delete folders, check the Settings to ensure that Library Player is still looking in the correct folders. Playlists created on one computer do not open properly on another computer. If you save a playlist on one computer, and then open it on another computer on the network, and you find it has not loaded or tracks are missing, the cause of the problem is that the computer does not have access to the audio files and can not find them. Check network shares, drive letters and folder names on both computers are identical. Check tracks in the playlist have not been renamed, moved or deleted. Open the playlist file in a text editor (e.g. Notepad) and check the location of the audio files on both computers. Can I use Library Player with touch screens? Yes - you can play tracks using touch screens. The Grid view of the Playlist and the Fast Jingles Keypad are both particularly useful for this. I can't add a track from the Library to the Fast Jingles. You can not add a track to the Fast Jingles if the track is already in the Fast Jingles or Playlist. Likewise you can not add a track to the Playlist if it is in the Fast Jingles. When I click a track in the playlist's Grid, it does not play. Another copy of the track is added to the playlist, and it is either the currently selected playlist item or another copy of the track is playing. Is there a limit on the number of tracks I can add to the Playlist? You can add as many tracks to the Playlist area as you wish - the only limit is your computers memory! The Grid view only displays the first 200 tracks. Can I have more then one playlist open at the same time? Only one playlist can be open within a copy of Library Player at a time, however if you need to open a second playlist you can open another copy of Library Player. However be careful if using fader start and only use the mouse and keyboard to start tracks - with more then one copy of Library Player open, using fader start will result in the selected items in both copies playing! Can I have only jingles in the Fast Jingles? No - you can have any type of track, including songs, adverts, and anything else that is available. I don't use Fast Jingles! If you don't use the Fast Jingles, you can create more space on the screen by hiding that area - go to the View menu and untick Fast Jingles. You can also hide the Library once you have added all your items to the Playlist area to create more space - particularly useful when using the Grid. Can I move a track from the Playlist to the Fast Jingles? Yes, just drag and drop the track from the Playlist area to the Fast Jingle slot in which you wish the track to appear. You can also drag and drop tracks from the Fast Jingles to the Playlist area. Can I play items in the Playlist and Fast Jingles at the same time? Yes - you can play up to 4 tracks in the Playlist (when using the grid) and all 8 tracks in the Fast Jingles at the same time, therefore it is possible to play up to 12 tracks at the same time! How do I stop all currently playing tracks without stopping them individually? Press the F12 key on your computer keyboard, and select Yes from the message that appears. I can't see the Fast Jingles keypad, or I can only see part of the keypad. Check the Settings to ensure that the keypad is visible. If the keypad is not fully visible, check the screen resolution settings in Windows. Can I search more then one category in the Library at the same time? No - you can only search one category at a time. I have difficulty seeing text in the Playlist and Library clearly, can I change it? Yes - go to the View menu and select Font, and you can then change the style of the text, including its size, to something more comfortable for you. Can I create a playlist using my version of Library Player at home and then open it at work? Most likely not - Library Player playlists do not actually contain audio tracks, they merely point to where the tracks are stored - therefore for this to work your copy of Library Player at home would need to have exactly the same tracks and folder paths! Can Library Player be set up to create playlists from home over the Internet? We offer an Intranet site package, and as part of this there is a facility to create Library Player playlists over the Internet. Please contact Simon Pittman by e-mail (simon@libraryplayer.co.uk) or visit our web site (www.libraryplayer.co.uk) for further details. I'm using Library Player within my workplace, hospital/community station, etc. - can I have my own copy of the software at home? Visit www.libraryplayer.co.uk for details on purchasing your own license for the software.